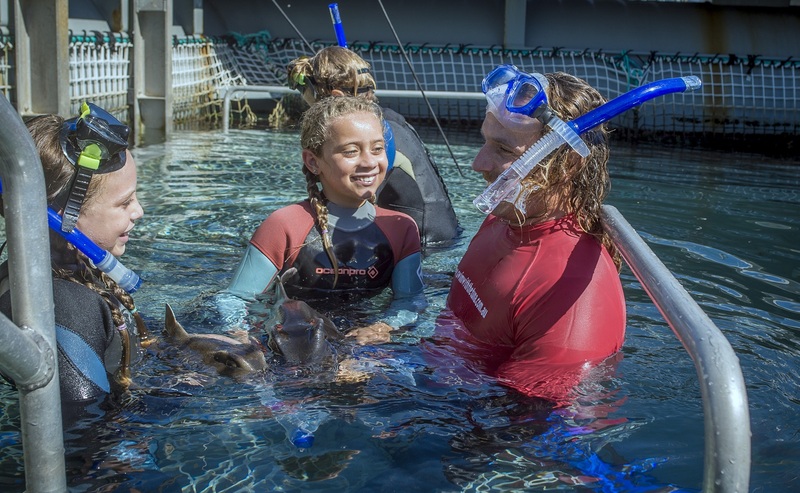 Oceanic Victor is a unique marine facility that encourages real hand on learning fo the kids of South Australia by creating a safe but exciting learning platform where students are engaged with the marine world in a way that has never been showcased previously. 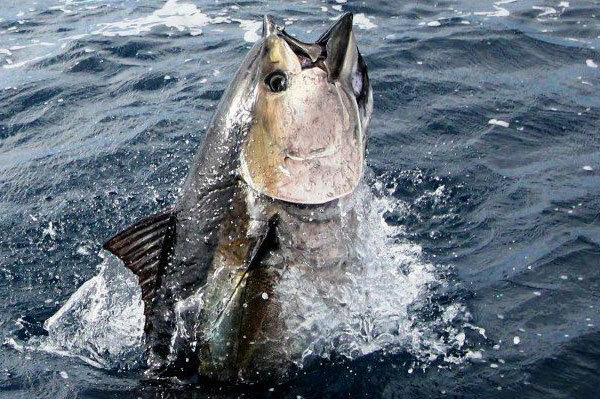 The Oceanic Victor In Sea Aquarium is located in the marine park off Granite Island in the historical Encounter Bay. The bay itself was named after the encounter between Nicolas Baudin and Matthew Flinders on the 8th of April 1802. The marine park hosts a greater diversity than the Great Barrier Reef and our team of passionate and engaging marine biologists and marine scientists are on hand to conduct the tours and support the teachers in their learning outcomes and to answer the myriad of questions that naturally occur when seeing marine species close up for potentially the first time..
We have our stars of the show the amazing Southern Bluefin Tuna, one of the fastest fish in the oceans, as well as a diverse array of smaller marine species that are indigenous to the marine park. 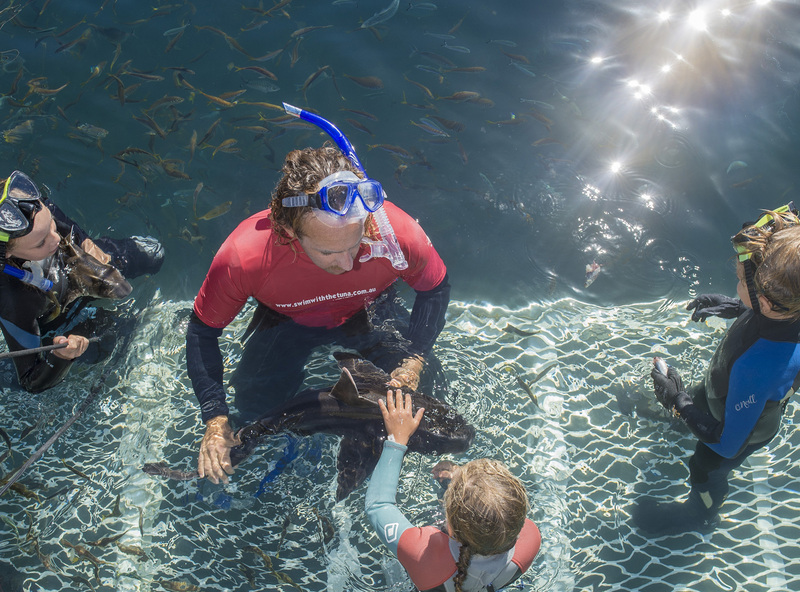 Our beautiful Port Jackson sharks are as cuddly as puppies and their nicknames are in fact Puppies of the Seas! 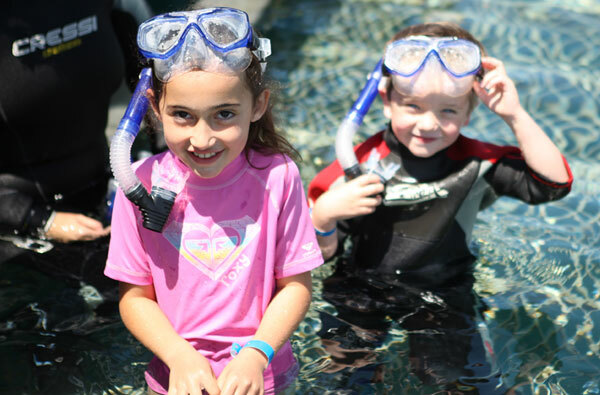 We have touch tanks, an underwater viewing tunnel and an inner aquarium. All wetsuits, gloves masks and booties are available for use by our guests. We have units as per the Australian Curriculum from years Reception though to year 10 for teachers to access, and we have a classroom on the island for pre or post discussion and for teachers to utilise. 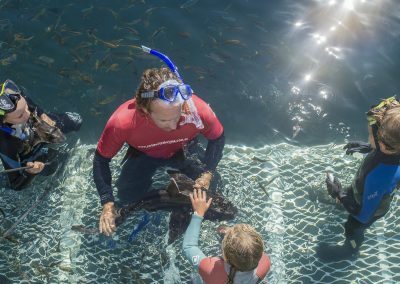 Our vision is to provide a platform for teachers and schools to access and to develop Granite Island and the facility as an educational resource and to foster marine research and promote real hands on learning. 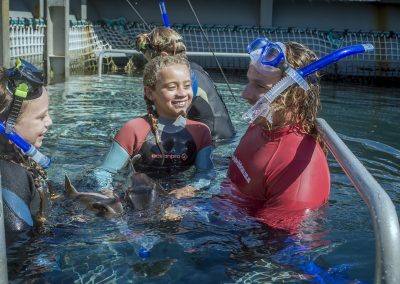 To inspire children and adults of the beautiful marine park they visit and to understand the importance of these parks across the state as well as the creatures that live there. Our team are all First Aid accredited and have their Working with Children clearances. Please contact us for any inquiries that you may have in regards to bringing school groups down. 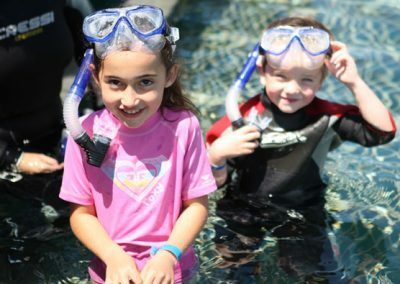 The special group prices for schools are based on groups of approximately 30 students with 2 teachers travelling with the group going FOC – fees start at $70 per guest and capped at group sizes of 60. 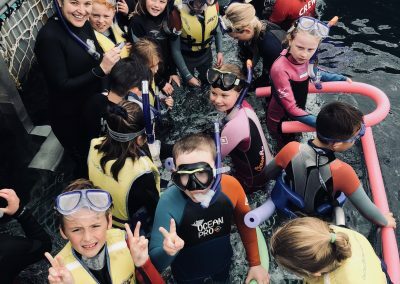 “One behalf of the Victor Harbor Special Education Sub School we would like to say a huge thank you to Oceanic Victor staff for providing us with such a unique and meaningful learning experience for our students…. 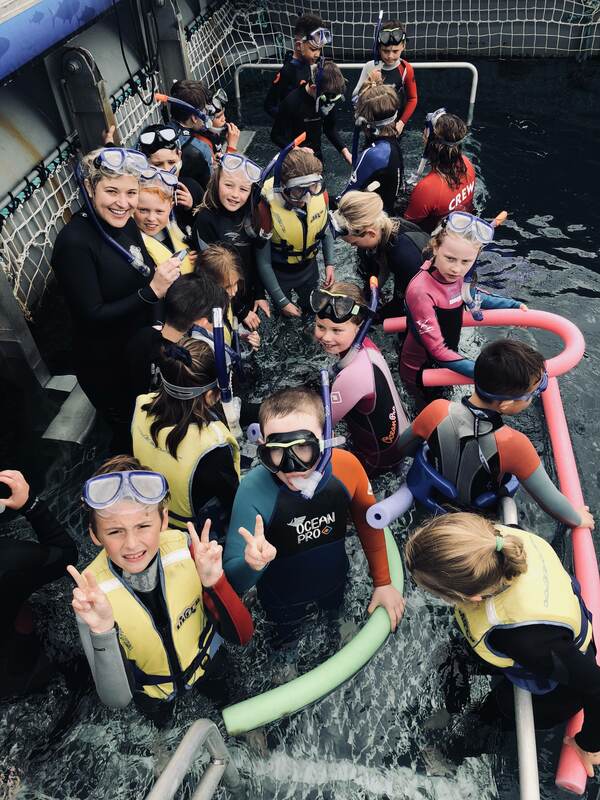 The staff at Oceanic Victor were fabulous when ensuring ALL of our students were included in the excursion by accommodating our students with vision impairments as well as significant sensory difficulties.